A few words about the birth place of the W.HOFFMANN Vision V 120 upright piano: It has always been our desire to build our own line in which a piano is inexpensive but also very valuable. With the acquisition of the new C. Bechstein Europe factory that goal has been fulfilled: Here we manufacture our own designs to our responsible standards with our own team. A visit to this worldwide unique European factory for affordable upright and grand pianos convinces journalists and professionals. The W.HOFFMANN Vision series developed in German Bechstein’s piano construction competence center for research and development and accountable for by C. Bechstein Europe in Czech Republic sets distinctive accents due to its outstanding value for the money. This is also true for the W.HOFFMANN Vision V 120 upright piano: This brand has become the strong-sounding European alternative to instruments from Asian manufacturing.The remarkable success is simply explained: We build pianos at an affordable price, but very valuable. We build them ourselves, with years of know-how, with long-trained personnel. Let our piano makers show you details and components of the W.HOFFMANN Vision V 120 upright piano. Compare in peace and quiet. Digital Piano Function for the W.HOFFMANN Vision upright V 120. 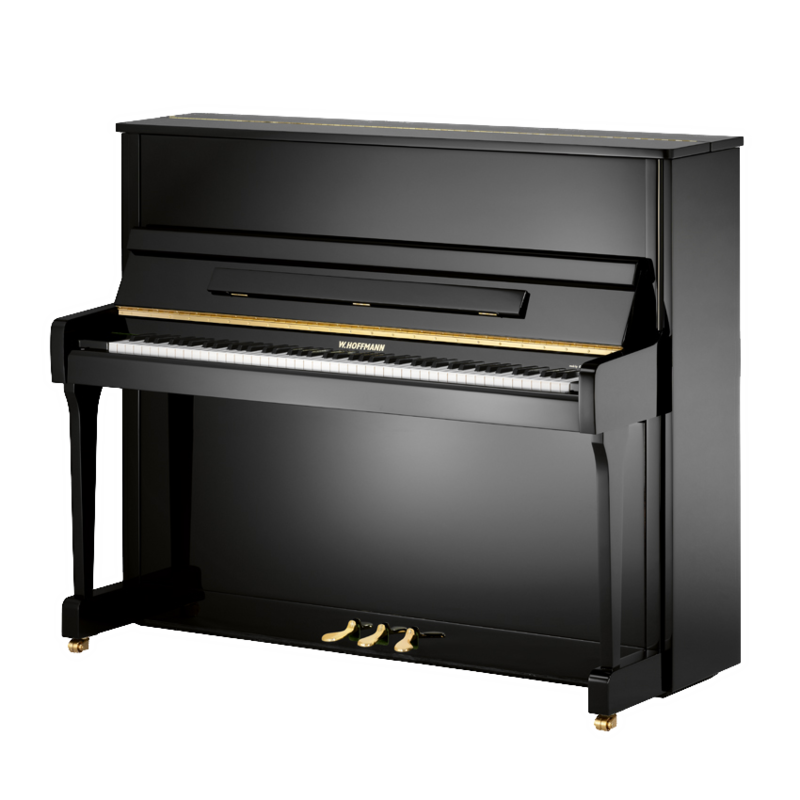 All models of the W.HOFFMANN brand are optionally available with the exclusive Bechstein Vario System. The Vario System is favourable for your upright piano, because it makes the instrument even more flexible and valuable. This high-profile system allows you to play and practice any time, day or night. The feeling remains the same, but the hammers do not touch the strings, rather they are first intercepted and reproduce by means of sophisticated electronic sensors the digitally pre-sampled sound of a concert grand piano. Your neighbors will love you! Compare!